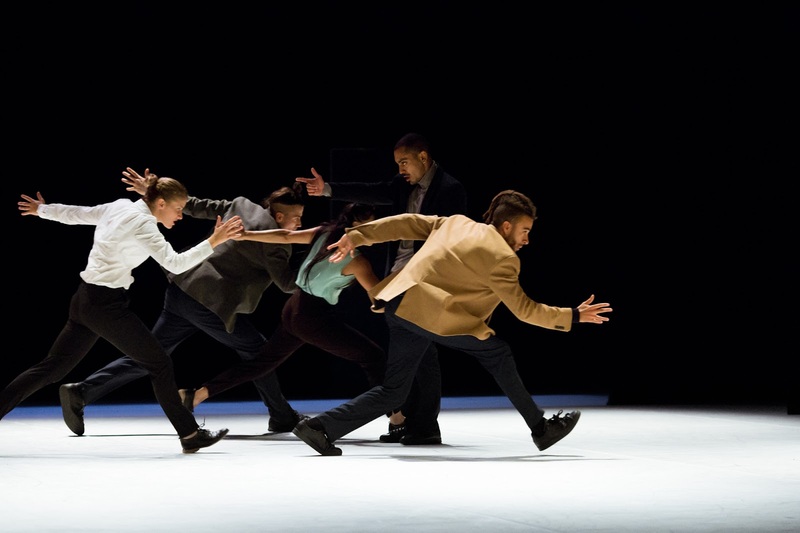 French dance company Dyptik delivered a timely ode to the Civil Service in The MAC on Friday evening as part of the Belfast International Arts Festival. While Dans L’Engrenage (In the Gear) was a last minute substitution into the festival programme, the performance couldn’t have been more opportune, coming on the last day of public hearings at the RHI Inquiry with former and current senior civil servants taking the stand. My perennial problem when reviewing dance performances is trying to figure out what the artists are trying to say. Is there a story or a message? Or is it so conceptual that any narrative has been deconstructed so far that the series of physical actions impress but no longer carry meaning? Despite having glibly described the show as “energetic hip hop from a French dance company” on BBC Radio Ulster’s Wow The Fest Friday lunchtime Facebook Live show for the last couple of weeks, I’d no larger picture in my head of what would happen when the lights went down in the MAC’s large theatre space last night. In the end, the performance wordlessly (if you discount a couple of snatched phrases of French in sound effects) told the story through the characters on stage. It was obvious and I was somewhat relieved when my notes scribbled during the performance turned out to roughly match the cast and director’s explanations during the after-show Q&A. Dans L’Engrenage is about the stresses of work. Being let down by colleagues and trapped inside processes with many moving parts. Colliding with colleagues all trying to hold others back and claw their way to the top. Being overwhelmed, overwrought and overworked. with your workload. Which made me think of the civil service energy team struggling to get their heads around the policy issues – and the profitability – of the renewable head incentive scheme, and later the claims processors flooded with a surge of forms from people wanting new boilers at the last minute. And the feeling of isolation that some must feel as colleagues distance themselves as the inquiry team comb through the ash left by the roasted scheme, and even some SPADs’ race to the top of the greasy pole leaving as many others as possible far behind. One dancer’s slide across the floor on his head, legs in the air, was an early warning that the troop all come out of the hip hop scene. Jerky movements suggest anxiety as well as the robotic nature of tasks. Delicate Mexican waves with fingers on a table convey impatience. The group movements, leaning and rotating as one, were beautiful to watch. The synchronised breakdancing was extraordinary. 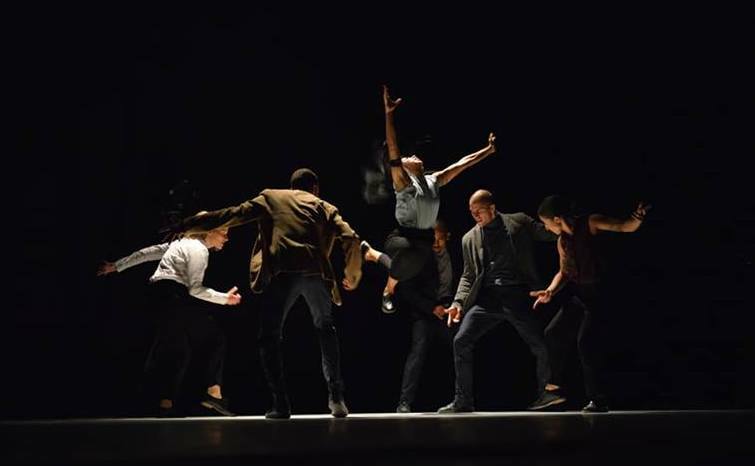 Middle eastern influences permeate both the dance and the soundtrack. Sharp lighting enhances the dancers’ shapes and at times become objects or goals that they work towards. Dressed in smart office garb, the dancers from Dyptik prove that they are high-performing artists with their breath-taking hour-long show. A real festival treat, and the kind of high quality, high impact show that an ambitious international festival should be bringing to these shores.